The Wednesday session of the Center for the Study of New Testament Manuscripts fundraiser for St. Catherine’s Monastery’s efforts to digitize their collection of ancient manuscripts, second only to the Vatican’s, began with lunch, followed by a lecture by Father Justin, and was finished with a quick tour of CSNTM’s offices at the Hope Center in Plano, Texas. A friend of mine from my last church happens to be a cousin of native Texan Father Justin, so I had the privilege of sharing lunch with both of them. When Father Justin heard that I had posted a review of Tuesday night’s lecture on this blog, he generously offered to send me his more detailed lecture for Wednesday with his invitation to post it in it’s entirety. The following is that lecture, Father Justin’s remarks on “The Significance of the Sinai Texts for New Testament Study.” Photos from the lecture and tour and a few of the Hope Center will be added later in the day. 1 The Codex Alexandrinus is one of the oldest manuscripts of the Holy Bible, dating from the fifth century. It is bound in four volumes. The first three contain the Old Testament in the Greek translation known as the Septuagint. The fourth volume contains the New Testament, and the Epistles of I and II Clement. In 1624, Cyril Lucaris, the Greek Orthodox patriarch of Constantinople, presented the four volumes of the Codex Alexandrinus as a gift to England. They reached England in 1627, when they were presented to King Charles I, who placed them in the royal library. This was the first time scholars in Europe had seen such an early copy of the scriptures. The cry at the Reformation was ad fontes, ‘to the sources’. This meant a study of the New Testament, not in the Latin Vulgate, but in the original Greek. With the recovery of Greek, it became possible to study the Septuagint, and as well, to read the Greek Fathers of the early Church. But a careful study of the Codex Alexandrinus showed variants between this and later manuscripts. It became evident that there was a need, not only to study the New Testament in the original Greek, but to search out the oldest manuscripts, and recover the earliest levels of the text. It was the Codex Alexandrinus that initiated this search to find the oldest manuscripts of the scriptures. From that time, ad fontes, ‘to the sources’, meant, above all, the search for the earliest texts of the New Testament. Günther Zuntz has written, ‘It was a stroke of genius to use the agreement of these two witnesses, Origen and the Vulgate, for the recovery of a fourth- or even a third-century text. He was the first to replace the standard text also of the Vulgate by that of its oldest manuscripts; it served him to make up for the scarcity of ancient Eastern manuscripts at his disposal.’ In the end, nothing came of his Proposals, due to the enormity of the task, and the antagonism of fellow scholars at his college. Nevertheless, he established procedures, and showed scholars the way forward. 3 In the middle of the nineteenth century, scholars came to Sinai, inspired by this same goal: to locate the oldest manuscripts of the scriptures, in order to recover the earliest levels of the text. Of these scholars, the most famous was Constantine Tischendorf, the first to identify the singular importance of the Codex Sinaiticus. This is a manuscript originally consisting of 740 leaves, containing all of the Old and New Testaments in Greek, as well as the Epistle of Barnabas, and the Shepherd of Hermas, both important late first century texts. The manuscript dates from around the year 325, which would place it within the lifetime of the emperor Constantine. Scholars before Tischendorf had seen the Codex Sinaiticus, but failed to appreciate its importance. He understood at a glance that this was the oldest manuscript of the scriptures he had ever seen, and that every variant reading was of the greatest interest. In 1844, he managed to take 43 leaves of the codex with him, which he published in Leipzig in 1846, not divulging the source of the manuscript. In 1859, when he was travelling to Sinai under the auspices of the Russian emperor Alexander II, he was shown the rest of the manuscript. He asked that it be sent to Russia where the original could be consulted, so that the publication of the text, undertaken at the expense of the emperor, would be as accurate as possible. The monks of Sinai, out of a genuine concern for the furtherance of Biblical scholarship, gave him the permission he sought, on condition that the manuscript be returned to the monastery upon its publication. To this Constantine Tischendorf agreed in writing, giving the assurances as well of the Russian ambassador to the court of the Sultan. Whatever be the mutual relation of Sinaiticus and Vaticanus, each of them separately, Sinaiticus in the Apocalypse excepted, is found on comparison of its characteristic readings with those of other documentary authorities of approximately determinate date to have a text more ancient by a long interval than that of any other extant Non-Western manuscript containing more than a few verses; to be in fact essentially a text of the second or early third century. This fact, which is independent of coincidences of Sinaiticus Vaticanus, so that it would remain true of Sinaiticus if Vaticanus were unknown, and of Vaticanus if Sinaiticus were unknown, suggests the most natural explanation of their coincidences. They are due, that is, to the extreme and as it were primordial antiquity of the common original from which the ancestries of the two manuscripts have diverged, the date of which cannot be later than the early part of the second century, and may well be yet earlier. 6 There is much to discourage anyone who proposes to make a journey to Mount Sinai in the interests of Biblical Criticism; the successes as well as the failures of previous visitors have great deterrent force; the latter [those who have failed], because they intimate that there is no useful work to do; the former [those who have succeeded], because they suggest that all the useful work has been done already; and it is surprising how powerfully both of these considerations work in the case in question. . . . For example, Coxe in his report to Her Majesty’s Government on the state of the Libraries in the Levant, expressly states that he avoided Sinai because it had been recently visited by Tischendorf; I believe I am right in stating that at the time when he came to this resolution (in January, 1857), the Sinaitic Codex was still lying in its time-honoured retreat, where in fact it would be to-day if the ordinary conventions concerning the rights of property had been scrupulously regarded. 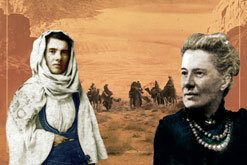 The "Sisters of Sinai": Agnes Smith Lewis and Margaret Dunlop Gibson. 7 It was Rendel Harris who encouraged Agnes Smith Lewis and her twin sister Margaret Dunlop Gibson to visit Sinai in 1893, since he knew that there yet remained Syriac and Arabic manuscripts that he had not had time to read. On that visit, Agnes Smith Lewis identified the importance of Sinai Syriac 30, known as the Codex Syriacus. This manuscript is a palimpsest: the original writing was erased, and the valuable parchment used a second time, in the year 778, to write the Lives of the Saints. The original text may date from the fifth century. It is one of only two manuscripts in the world to preserve the Old Syriac translation of the Gospels, made from the Greek towards the end of the second century. We know that the texts of the New Testament were written in the first century. Today, we have manuscripts of the scriptures that date from the third century. What happened in the second century to account for what we see emerging in the third? That is the critical question in New Testament studies, and any manuscript that can illuminate the state of the text in the second century is of the greatest importance. 8 Agnes Smith Lewis and her twin sister Margaret Dunlop Gibson photographed the manuscript in its entirety. From these photographs, other Syriac scholars from Cambridge were persuaded to join them the following year. The first was Robert Lubbock Bensly, Fellow of Gonville and Caius College, Cambridge, lecturer in Hebrew and Syriac, and Lord Almoner’s Professor of Arabic. 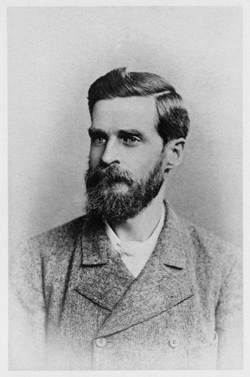 The second was Francis Crawford Burkitt, a former student of Bensly, who in 1905 was to be appointed Norris Professor of Divinity. Rendel Harris also joined them. The texts of this manuscript were published in Cambridge in several editions over the next few years. This version is certainly older than the Peshitta, which is not earlier than the fourth century; probably older than the Syriac Diatessaron, which is not earlier than 170 AD. Of this version of the Gospels only one other manuscript is known to survive besides our palimpsest, namely, the Codex in the British Museum used by Cureton; from this, however, more than half the contents are wanting, and its text has certainly undergone revision from the Greek. In the Sinai palimpsest considerably more than three-fourths of the whole of the Gospels is legible, and its text shows no clear signs of revision from later Greek manuscripts. 9 These are a very few of the Sinai manuscripts of the scriptures that have been of the greatest importance to Biblical studies. With the work of such eminent scholars over the course of many years, we may well ask, what remains for us to do? If Rendel Harris could write in 1890 about the discouraging effect of both the successes and failures of previous visitors to Sinai, how much moreso would that be the case today? Are we to be only gleaners in a field that has been already harvested? In fact, just a few years ago, yet another scholar made an important discovery. 10 Hikmat Kachouh is a Lebanese, who came to Sinai in the summer of 2006. He was working on a doctoral dissertation under the direction of David Parker, at the University of Birmingham, in England. His subject was the text of the Gospels in Arabic, excluding lectionaries. In the course of his studies, he had read over two hundred manuscripts of the Gospels in twenty-one different institutions. He came to Sinai for ten days. During that time, he was able to review sixty manuscripts. He was looking for test passages that would allow him to identify the characteristics of each manuscript. From his careful study of so many other manuscripts, he could quickly tell which had been translated from the Greek, and which from Syriac, and as well, the nature of the text from which the translation had been made. Most of the manuscripts at Sinai represented texts that he had already encountered, but seven of them were texts that he had never seen before. He set them aside as essential to his research. And then he had to return to England. 11 I was able to photograph these texts at high resolution, and send him the digital images. Two of these, in particular, became his favourite manuscripts: these are Sinai Arabic New Finds 8 and 28, which originally formed one manuscript, written on parchment, and containing 143 folios. It dates from the second half of the eighth century or the early ninth century, making it one of the oldest surviving Arabic manuscripts of the Gospels. In his dissertation he wrote, ‘The examination of the Gospel of Luke shows that this manuscript follows an archaic Greek manuscript which differs considerably from the Greek Byzantine text. The Western and Alexandrian readings are very many and will be presented in a separate monograph. No extant Arabic manuscript can claim more textual value than this version.’ He has drawn attention to the importance of Arabic manuscripts of the scriptures. In a further study of this manuscript, published in Novum Testamentum, he writes, ‘The Arabic Gospel manuscripts have much to contribute to the history of the transmission of the text, as well as enhancing our knowledge of the biblical tradition’. 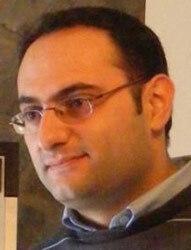 I might add that Hikmat Kachouh has recently been appointed dean of the Arab Baptist Theological Seminary in Beirut. Such discoveries show the continuing importance of the Sinai manuscripts. What are we doing today to make them more accessible? 12 Some years ago, we began a program to photograph the Sinai manuscripts with a Sinar camera, made in Switzerland, that has a six megapixel CCD. 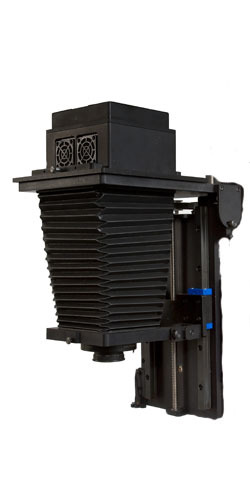 The camera is mounted on a special cradle designed by Alan Buchannan in London, for the safe handling of fragile manuscripts. The camera takes excellent photographs, and will continue to be an important part of our project. 13 The day before I left Sinai to come to the States, we completed the installation of a new digital camera and cradle, made by Stokes Imaging, in Austin, Texas. The new camera has a 48 megapixel CCD. But in addition to the increase in resolution, the new system is much more efficient. The focus and many other functions of the camera and cradle are automated. The processing software straightens and crops the resulting images and saves them in three different formats, all of which had to be completed by the operator with the earlier system. We are very happy to announce this addition to our digital photography program. 14 Another important development is the project for the photography of the Sinai palimpsests. Because Sinai was so isolated, there are many manuscripts where the original writing was rubbed out, and the valuable parchment used a second time. We have over 110 manuscripts with palimpsest text. Already, we can see traces of both scriptural and classical texts in the occasional words that are visible in the margins of these manuscripts. The possibility of recovering these texts is a very exciting prospect. How can the Sinai manuscripts continue to help us in our study of the scriptures? As we continue to photograph the Sinai manuscripts and make them available to scholars, it is certain that important discoveries are yet to be made, in our goal to recover the earliest text of the scriptures. But there are other ways as well in which we still have much to learn from the Sinai manuscripts. 15 Scholars are coming increasingly to appreciate the importance of manuscripts of the scriptures with commentary in the margins. Commentaries show us how these texts were understood. One example is a tenth century Sinai manuscript containing the books of Genesis, Exodus, and Leviticus, with marginal commentary drawn from twenty-four different writers, beginning with Philo and Josephus in the first century, and extending to Severus of Antioch in the sixth. The writings of some early authors only survive in such commentaries. The manuscript contains, as well, variant readings from Aquila, Theodotion, and Symmachus, who each made translations of the Hebrew Old Testament into Greek as alternatives to the Septuagint. 16 There has been a living community at Sinai since the late third and early fourth centuries, an astonishing record of continuity. This gives an added dimension to each of the manuscripts: they are still in their original context. Sinai has over fifty copies of the Psalter written in Greek majuscule script, a script that predates the tenth century. Manuscripts such as these may add little to our knowledge of the text, but they can help us understand the place of the scriptures in Christian worship. 17 We face a certain paradox in our own days. In the early seventeenth century, scholars who had studied the Codex Alexandrinus made it their goal to search out the oldest manuscripts of the scriptures, in an effort to recover the earliest levels of the text. We now have manuscripts of the New Testament dating from the third century, and even from the second century, of which Westcott and Hort could only have dreamed. In addition, we have recovered a multitude of texts written on papyrus, from sites such as Oxyrhynchus, and these have contributed much to our understanding of Greek as it was used in late classical antiquity. All of these resources have allowed us to make ever more informed judgements about the text of the New Testament. And yet, in our own times, Christians are being challenged in the very foundations of their beliefs. In early Christian times, we are told, there were many Gospels, and many Christianities. The process by which the traditional scriptures and faith emerged as normative was quite arbitrary, the result of power plays that could as easily have turned out differently then, could as easily turn out differently for us today. What are we to answer? 18 For those who know their Church history, these issues will sound familiar. These are the very issues faced by Irenaeus in the latter second century. He had to justify the unique place of the four Gospels. He also had to vindicate what he called the canon of faith, the rule of truth. He illustrated this by describing a mosaic in which an artist has used brilliantly coloured pieces of stone and glass to make the portrait of a king. Another person takes this mosaic, and rearranges the pieces to make the portrait of a fox. He can claim that the pieces are identical. He has not added or taken away one stone. But the arrangement is not the same. The pieces are not in their original order. 19 It is the same with the scriptures. Christ is anticipated in the Old Testament in types and figures. In the fulness of time, he came into the world as a recapitulation of the continual presence and activity of the Word. The New Testament is an epitome making clear what had previously been obscure. The canon of faith is this Christocentric reading of scripture, seeing the whole of scripture in the light of Christ and as speaking of Christ, the Old Testament invisibly in types and enigmas, the New Testament visibly in a clear epitome. This approach to the scriptures was stated most succinctly by the holy apostle Paul in his first epistle to the Corinthians, ‘For I delivered unto you first of all that which I also received, how that Christ died for our sins according to the scriptures; and that he was buried, and that he rose again the third day according to the scriptures’ (I Corinthians 15:3-4). This was the faith announced by the prophets, taught by the Lord, delivered by the apostles. Those who have come to know this overarching pattern will be able to discern the authentic portrait. 20 The cry of the Reformation was ad fontes, ‘to the sources’, a return to the sources of our Christian faith. This must still mean, above all, the most careful study of the text of the holy scriptures, and in this, the Sinai manuscripts have been of the greatest importance. We are certain they will continue to be so, as these manuscripts are photographed and made accessible to scholars. But the age-old continuity of which Sinai remains the very emblem reminds us of the wider scope of this admonition, ad fontes, ‘to the sources’. Those for whom this can include the defence of the faith written by such early writers as Irenaeus, will be in a better position to meet the challenges we face today as Christians. In this, as well, we have much to learn from the Sinai manuscripts. Richard Bentley, Sermons Preached at Boyle’s Lecture; Remarks upon a Discourse of Free-Thinking; Proposals for an Edition of the Greet Testament; Etc. Etc., edited with notes by the Rev. Alexander Dyce (London: Francis Macpherson, 1838), p. 477. Günther Zuntz, The Text of the Epistles: A Disquisition upon the Corpus Paulinum (London: Oxford University Press, 1953), p. 7. Brooke Foss Westcott and Fenton John Anthony Hort, The New Testament in the Original Greek, Introduction and Appendix (Cambridge: Macmillan and Co., 1881), pp. 222-223. J. Rendel Harris, Biblical Fragments from Mount Sinai (London: C. J. Clay and Sons, 1890), pp. iii-iv. Francis Crawford Burkitt, ‘The Sinai Palimpsest and the Greek Text of the Gospels’, Mrs. R. L. Bensly, Our Journey to Sinai: A Visit to the Convent of St. Catarina (London: The Religious Tract Society, 1896), pp. 175-6. Hikmat Kachouh, The Arabic Versions of the Gospels: The Manuscripts and Their Families, (Birmingham: The University of Birmingham, 2008), vol. 1, p. 376. Hikmat Hachouh, ‘Sinai Arabic New Finds Parchment 8 and 28: Its Contribution to Textual Criticism of the Gospel of Luke’, Novum Testamentum 50 (2008), p. 29. Are you a populist, or cosmopolitan? Those are the categories utilized by Michael Lindsay, assistant professor of sociology at Rice University, and author of Faith in the Halls of Power: How Evangelicals Joined the American Elite. When Lindsay spoke recently at the Pew Forum’s semi-annual Faith Angle Conference on religion, politics and public life, he used these categories to describe the division in the ranks of politically active American evangelicals. Notable among the cosmopolitan group were Reformed Christians. Here’s what he said about them. 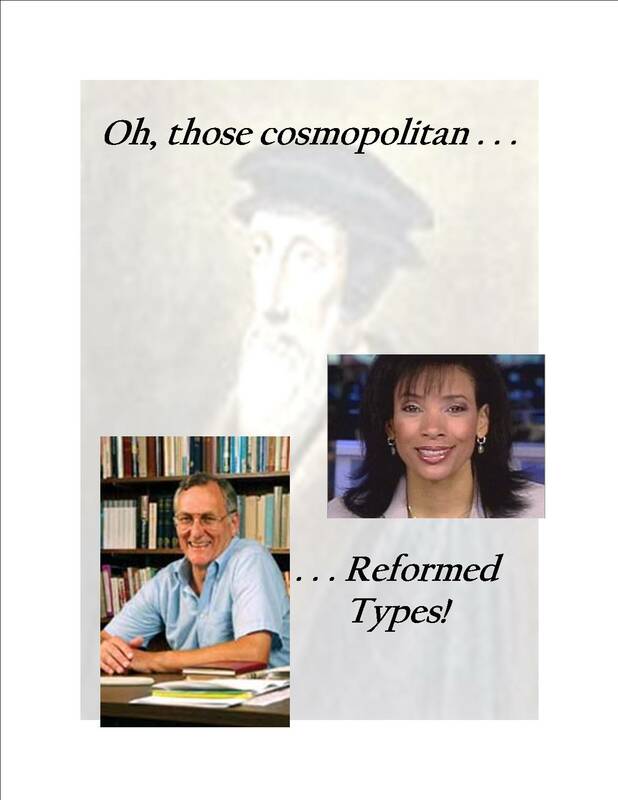 Then Lindsay mentions one significant Reformed theologian who is partly to be credited with the emergence of Reformed theology in the American evangelical community. David Wells. “I got in touch with a theologian named David Wells who has just written a book. I’ll promote his book since I don’t have one of my own. His book is The Courage to be Protestant: Truth Lovers, Marketers, and Emergents in the Postmodern World. And he has a different dichotomy of the outlook of the evangelical landscape.” So Lindsay explains Wells’ breakdown. But I don’t want to spoil it for you. I want you to go read the whole transcript. It will give you a good idea of what is going on among us voting evangelicals. Normally, I don’t post on politics, but politics is only one factor. I’m interested in this also for the historical and theological associations. If you want my views on politics, you’ll have to email me or send me a message at my Facebook page. Finally, there was another Reformed individual, who, in her vocation, is associated with all of this. The chief religion correspondent from FOXNews Channel, Lauren Green, happened to be in attendance at the conference and piped up with some questions when she heard her church referenced. That church would be Redeemer Presbyterian in New York City. I found that interesting. It’s nice to learn about the faith of the talking heads you listen to. So now Lauren is “outed” if you will as Reformed! R. Scott Clark, Professor of Church History and Historical Theology at Westminster Seminary California, and Associate Pastor at Oceanside United Reformed Church, splashes a little water in the faces of those of us who get excited about the Reformation on Halloween. If you want your Reformation myths challenged (if they are myths), then read his post at the Heidelblog entitled, “What Reformation Day Really Is.” But be of good cheer, true believer–the doctor not only invalidates the legends, he bestows a sharper knowledge of the true Reformation! Read, and rejoice in the truth! 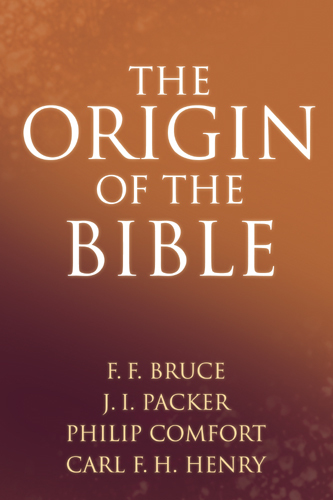 The following is a synopsis of the things I learned after reading The Origin of the Bible, edited by Phillip Comfort, with chapters contributed by scholars such as F. F. Bruce, Carl F. H. Henry, J. I. Packer and Leland Ryken among others. I highly recommend this book for those who would like to learn the facts regarding New Testament textual criticism. Having come out of an Independent Baptist, King-James Only perspective, this topic is dear to me, although I am not an expert. What follows is my synopsis only, with links to names or concepts that may warrant further study. If you are knowledgable of the facts below, are not King-James Onlyist, and detect any inaccuracy, feel free to speak up and correct what I’ve written. Of course, if you are King James Onlyist, feel free to engage me in dialogue about it. Again, I’m no scholar, I just wanted to put this info down to help solidify in my mind that which I read in the book. But I posted it because I wanted it to benefit anyone it can. I admit the information listed below is kind of condensed, which may make it a little difficult to comprehend. Feel free to also ask me to clarify what I’ve written, if necessary. “Alexandrian” or “Polished” Text, begins taking shape through a long process of classifying manuscripts and applying textual critical methods to recover the original readings, developing a superior type of text, although some original readings are “polished” (and thus corrupted) and are instead preserved by the Western or Byzantine Texts. Concurrent with the ongoing efforts of Alexandrian scholarship, Lucian of Antioch, Syria, (head of the theological school in that city) edits a recension (revision) of the Western Text, conflating (combining) variant readings and smoothing out awkward language. Subsequently, Roman emperor Diocletian persecutes the Church and confiscates Bibles. After Constantine legislates tolerance for Christianity, copies of Lucian’s recension of the Western Text of the New Testament are distributed among the Eastern churches by bishops trained at Lucian’s theological school. This becomes the dominant type of text during the Byzantine era, and is classified as the Byzantine Text. This also becomes the text of Protestant Christianity after the fall of Byzantine civilization and the westward migration of eastern Greek manuscripts, including Byzantine New Testament manuscripts. Hence the formation of the Textus Receptus. Usage of the Greek language falls out of use in the Mediterranean region and so the demand for copies of the Alexandrian Text of the New Testament is diminished until the type of text is largely lost to Christendom, although traces of it are retained in the Latin Vulgate and other versions. About 1481 Codex Vaticanus is discovered and placed in the Vatican’s library, but it is not until the 19th century before the bulk of Alexandrian manuscripts is discovered and begins to influence the work of textual critics. The two strands meet when in 1881, the Authorized Version (based on the Textus Receptus) is revised utilizing Alexandrian scholarship to create the English Revised Version, which revolutionizes the work of English Bible translation, culminating in the Nestle/Aland/UBS critical editions of the Greek New Testament which brings the New Testament to as close proximity to the original wording of the New Testament as has yet been achieved. Calvinism, Coming to a Young Christian Near You! There’s a book out chronicling the resurgence of Calvinism among the, pardon the expression (keep in mind, I’m using it correctly), emerging generation of teens, twenty-, and thirty-somethings (including myself) who are disillusioned with the shallow theology and over-emphasis on you name it, revivalism, pietism, experientialism, commercialism of the twentieth century. As you know, the list of misguided varieties could go on. So many of us who’ve grown up as a either a fundamentalist or evangelical Christian have come to the conclusion that what is needed is for the church to get back to the basics of what it means to be a Christian. The basics of Christianity as understood in a broader way than just re-examining my Bible and reconstructing my own version of what I think is the clear teaching of Scripture regarding faith and practice (which is what most of the previous generation think it means to get back to the basics). Such a tactic is part of the problem–it’s too self-centered and individualistic and often far too reductionistic. It’s not a matter of just throwing out current traditions and starting over with a clean slate. It’s not about reinventing the wheel–those are the kinds that never turn out round. What I’m talking about is getting on the right track–yes, the most biblical track, the most Christian track, the most Protestant track, the most truly evangelical track–a track I didn’t lay myself, but was laid by the faithful followers of Christ who genuinely changed the world in their generation as did the first century apostolic generation. What generation am I talking about? I’m talking about the generation that laid the tracks of conservative evangelical, confessionally Reformed, Christ-centered Protestant theology. The generation identified in the history books as the Reformers. I read once that Socrates is known for saying, “Sometimes regress is progress.” The bill of goods that we were sold in the 20th century told us that what’s happening now is better than what happened back then. The present is always preferable to the past. The new is more relevant than the old. Well, some of us have learned that sticking “new and improved” on something doesn’t mean a thing. Some of us have learned that if conservative evangelical, or fundamentalist Christianity is going to make any progress, we’re going to have to regress back to a time when things were genuinely being done right and learn from both their successes and mistakes, receiving the faith in tact as handed down by them and not as re-imagined by modern philosophical influences, be they pragmatism, modernism or post-modernism. Progress will only come through this kind of regress. Second Timothy 2:2 puts it best: “and what you have heard from me in the presence of many witnesses entrust to faithful men who will be able to teach others also.” But lots of people are entrusting lots of things to lots of “faithful men.” Which version of Christianity is best? There’s a number of us in this new generation who are firmly convinced that what the apostolic churches passed on to faithful men who led the post-apostolic generation, got deformed in the medieval era and was reformed in the sixteenth and seventeenth centuries is the “basics” to which the 21st Century generation of Christians needs to get back to. So much that has transpired since the Reformation era leaves so much to be desired that we don’t trust much of it at all. That’s why we’re turning to Calvinism, also known as Reformed theology. Journalist Collin Hansen has written Young, Restless, Reformed: A Journalist’s Journey with the New Calvinists. It tells our story. Martin Downes has reviewed the book over at Reformation21.org. Read all about it, then find your place in the 21st Century Reformation. This one Calvinized me once and for all! 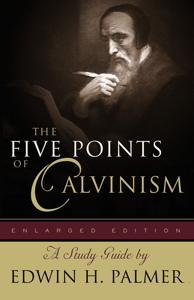 One thing that has always puzzled me since I began reading and listening to Reformed theologians and writers deal with the TULIP, is that they almost unanimously seem to lament the fact that there is a “Five Points of Calvinism” in the first place. They complain that it raises more questions and seems to cause more confusion and more problems than it solves, but they just keep on referring to it and using it anyway. But when they use it they often rename the points in the acronym. These doctrines are a summary of the five part document from the seventeenth century called the Canons of Dort, which were published upon the completion of the Synod of Dort, a council consisting of many Reformed churches throughout Europe at the time which had to convene in order to respond to the theological challenges within the Dutch Reformed Church by a formerly Reformed minister by the name of Jacob Arminius. He had originally published a five-point list of his own which denied certain teachings of Scripture which too clearly evidence the sovereignty of God in showing mercy to, and hardening, whomever he wills (Romans 9:18). Arminius’ modified doctrines tended to limit God’s sovereignty in favor of the unlimited freedom of man’s will. Mimicking the TULIP acronym, I’ve noticed that some modern writers similarly outline the five points of Arminius with another flower acronym, DAISY. The titles consist of Diminished Depravity, Abrogated Election, Impersonal Atonement, Sedentary Grace, Yielding Eternal Uncertainty. For some reason, the complaints Reformed writers make usually leave me wondering if they’re making a mountain out of a mole hill. Perhaps too many Reformed writers distrust homiletical mnemonic devices more than I thought? There’s no telling. However, when Seth McBee updated his Facebook status, registering his complaints against J. I. Packer’s views on Limited Atonement in his famous introduction to John Owen’s masterpiece, The Death of Death in the Death of Christ, for his supposed arrogance in condemning the Arminian general atonement view in no uncertain terms, I was intrigued. What? Someone claiming to be Reformed, yet disagreeing with Packer’s view of the atonement? That’s when we began the discussion over at his blog to which I directed you a couple of days ago (see the previous post). There is a fifth way in which the five-point formula is deficient. Its very form (a series of denials of Arminian assertions) lends color to the impression that Calvinism is a modification of Arminianism; that Arminianism has a certain primacy in order of nature, and developed Calvinism is an offshoot from it. Even when one shows this to be false as a matter of history, the suspicion remains in many minds that it is a true account of the relation of the two views themselves. For it is widely supposed that Arminianism (which, as we now see, corresponds pretty closely to the new gospel of our own day) is the result of reading the Scriptures in a ‘natural’, unbiased, unsophisticated way, and that Calvinism is an unnatural growth, the product less of the texts themselves than of unhallowed logic working on the texts, wresting their plain sense and upsetting their balance by forcing them into a systematic framework which they do not themselves provide. An epiphany! The TULIP can tend to encourage people to assume that the answer to “which came first?” is Arminianism, when in reality, the reverse is the case. The five points of Calvinism are mostly stated in a negative form because they are denying claims the Arminians made when they were trying to modify Calvinism, the doctrine that arises the more legitimately from the text of Scripture. Persevering Grace for the Saint(formerly, Perseverance of the Saints). Out of Judean Caves into Cyberspace! exhibit at the Shrine of the Book Museum in Jerusalem. The experience was well worth the cost. I even discovered two books that I really want to get around to buying and reading someday. One is The Dead Sea Scrolls Bible, a translation into English of all the Dead Sea Scrolls that contained books of the Old Testament. The other is The Complete Dead Sea Scrolls in English, which contains all of the writings of the Essenes, detailing their beliefs and customs and other glimpses of first century life in Israel. “Since therefore the children share in flesh and blood, he himself likewise partook of the same things, that through death he might destroy the one who has the power of death, that is, the devil, and deliver all those who through fear of death were subject to lifelong slavery. For surely it is not angels that he helps, but he helps the offspring of Abraham. Therefore he had to be made like his brothers in every respect, so that he might become a merciful and faithful high priest in the service of God, to make propitiation for the sins of the people. For because he himself has suffered when tempted, he is able to help those who are being tempted” (Hebrews 2:14-18 ESV). The first sentece of this passage specifies that Christ partook of the same flesh as humans and that he partook of the same blood as humans. Adding to this it goes on in verse 17 that his partaking of human flesh and blood was the way in which he could be a merciful and faithful priest who can propitiate God for the sins of the people, specifically, “his brothers” “the offspring of Abraham” (other parts of the New Testament would call these people “the elect,” but that’s a whole ‘nuther post–on Limited Atonement!!!). This means that if his flesh and his blood aren’t entirely human–specifically, not the product of Mary’s reproductive system, then he couldn’t truly empathize with us. The writer of Hebrews even underscores this by saying that Jesus didn’t come to help angels, but humans. If his blood was divine, then it could be said that Christ may not have been made “a little lower than the angels.” At the very least, if it was divine blood and heavenly flesh, he would have been somewhere between angels and humans and not genuinely on the human level and exception could then have been taken against his attempt to propitiate God on behalf of the elect children of Abraham. I hope you can see now how important it is that Christ be regarded by Christians as one hundred percent human–utterly human right down to the last drop of Abrahamic, Judaic, Davidic, Marian blood. The full divinity and full humanity of Christ joined in one person is a doctrine so important that it has bearing on Christ’s ability to reconcile God to sinners, and this is the reason that in the fifth century, an ecumenical council had to be convened in Chalcedon to search the Scriptures more closely as a worldwide church to settle once and for all just how divine and how human Christ is. But naturally, just because a council rules against a heresy, that doesn’t mean the errant tendency is forever universally squashed. Those who refuse to learn the lessons of history repeat its mistakes in every generation; in the post-apostolic era, the medieval era, the Reformation era, as well as the modern era. Such is the case with the divine blood error, and such is also the case with the heavenly flesh error. The Reformation era Anabaptistic doctrine of the heavenly flesh of Christ enters the history books due to the influence of arch-Anabaptist, Melchior Hoffman. 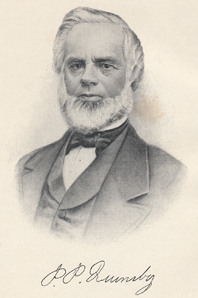 The Elwell Evangelical Dictionary gives a concise summary of Hoffman’s distinctive doctrines as well as his several historic misadventures. 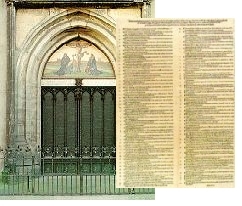 The Anabaptists in general, called the radical reformers, thought Zwingli, Luther and Calvin didn’t go far enough in reforming the catholic faith because they insisted on making sure the doctrine they reformed was consistent with the ecumenical catholic creeds of the first 500 years of church history. The Anabaptists opted to reinvent the wheel from scratch with their Bible and their inner light or divine spark within. That’s why a man like Melchior Hoffman could go blur the line between Christ’s two natures and help preserve such unorthodox interpretation for future generations. I’m not aware if the Independent Baptists with which I spent the first twenty years of my spiritual life taught the modern fundamentalist concept of the heavenly flesh of Christ or not, but during the nine years I spent at CBC, the doctrine was repeated early and often. One proof text provided the spring board for propagating this doctrine: Hebrews 10:5; specifically, the phrase, “a body thou hast prepared me.” The idea went something like this: God’s “preparing a body” for Christ means that God specially created the body of Jesus in heaven and the Holy Spirit inserted it in Mary’s womb, which body she carried to term, much like a modern surrogate mother. I can’t say with certainty who it was that passed this interpretation on to the leadership of CBC, but my suspicion is that the source is someone like Peter S. Ruckman. However, there is no way for me to know now. But writers of his persuasion revel in the unhistorical assertion that Baptists aren’t Protestants, so when they find a proof text for a teaching that differs from the historic orthodox Protestant view, promoted by someone with whom they presume a link due to their doctrine of Baptist successionism, they are liable to take full advantage of it. Having this doctrine taught out of this text, I could tell they weren’t doing justice to it, but at the time I couldn’t figure out how to compete with the interpretation, so I left all criticism of it on the back burner. But for starters, let’s think about the immediate context. The first ten verses of Hebrews 10 constitute one section, or pericope. The big idea of this pericope is the temporary nature of Old Covenant animal sacrifices and the once-for-all-time effectiveness of the sacrifice of the body of Christ. When verse five quotes Psalm 40:6, it is quoting the reading that is found in the Septuagint, as you will notice a difference in the wording of your English Old Testament, a translation of the Masoretic Text, In the KJV, the phrase is translated “mine ears hast thou opened,” and in the ESV, it reads, “but you have given me an open ear (the more literal alternate reading in the footnote is, “ears you have dug for me.”). “In the Septuagint . . . , which Hebrews follows, this psalm speaks of the readiness of the whole person (‘the body’), not just a part (the ‘ears’) of the person. Thus, the ‘body prepared for me’ refers to Jesus’ readiness to become human and to suffer death on our behalf. (2:14; 5:8). See WSC 22” (NIV Spirit of the Reformation Study Bible footnote on Hebrews 10:5). The main idea of verse 5 is Christ’s readiness to offer himself, rather than information regarding the constituent nature of Christ’s human body. This naturally reminded me of my former pastor’s frequent flawed exposition of Hebrews 10:5. This is what lead me to the conclusion that he was following this doctrine because it is not the view of the “Protestant” reformers, but of the “baptistic” ones. For example, if you were to ask an ordinary, non-Reformed Baptist nowadays, whether they thought Christians ought to give any credence to the early ecumenical catholic creeds which deal with Trinitarian or Christological issues, many will likely say no. Others, who are more on the ball, may say that they would affirm its trustworthiness as long as it squared with Scripture, but, of course, being Baptist, they would accept no obligation to recognize it as authoritative in any, not even a secondary, way. Either response exhibits a willingness to completely disregard statements such as the Definition of Chalcedon, much like the Anabaptists did. The Heavenly Flesh concept emerged as a Reformation-era explanation to the theological problem of the sinlessness of Christ. Centuries earlier the Catholics had responded to the same problem with the doctrine of The Immaculate Conception of Mary. The radicals argued, like the Roman Catholics, that if Jesus was born of a mother tainted with sin, he could not himself have been sinless. Their argument went on to explain that while Jesus was begotten and carried “in” Mary’s womb, he was not born “of” her; he did not derive his flesh from her. Hence, the heavenly origin of Jesus’ flesh. And hence, the source of Christ’s sinlessness. This is the concern of modern fundamentalists and evangelicals who hold to modern forms of the divine blood and heavenly flesh teachings. How unfortunate it is that they would rather go outside the bounds of orthodoxy to protect Christ’s sinlessness, than remain in it and risk being called “catholic.” That’s what I call falling out of the frying pan into the fire. One of the benefits of broadening one’s theological horizons is that he can learn where the boundaries of orthodoxy lie and can begin to discern when the doctrine he’s being taught remains safely within, or begins to cross, the orthodox boundaries. Case in point: Heavenly Flesh & Divine Blood. What am I talking about? Does this have something to do with the Lord’s Supper? No, it does not. It has to do with parallels with ancient Christological heresies as well as the Radical Reformation in some corners of modern fundamentalism. Namely, the corner from which I emerged into Reformed theology. The independent fundamental Baptist (IFB) church to which I used to belong supported a small Bible institute based in my home town. A close family friend from this church is a graduate of this school. He now pastors another church, and I have regular contact with the associate pastor. This associate once told me that his church no longer fellowships with the Bible institute in question since it merged with another more established Bible college for two reasons: one, the school’s getting taken over by so-called “Hyper-Calvinists“; and two, one of the instructors teaches that Christ got his body from Mary. Some of you may be wondering, “And the problem with this is . . .?” But others of you may know where I’m going. Where I am going is to the teachings in vogue among some independent Baptists, among others, I suppose, regarding the source of the body of Christ, and the nature of the blood of Christ. “Passing strange, is it not, that with such a clear record anyone can deny that the BIBLE TEACHES THE VIRGIN BIRTH. We can understand how men can reject the Bible record, but how men can say that the Bible does not teach the VIRGIN BIRTH is beyond conception. “The Bible teaches plainly that Jesus was conceived in the womb of a virgin Jewish mother by a supernatural insemination of the Holy Ghost, wholly and apart from any generation by a human father. This the Bible teaches so plainly that to the believer there is no doubt. The record cannot be mistaken by the enlightened and honest student of the Word. “The Bible teaches in addition that Jesus was a SINLESS man. While all men from Adam to this day are born with Adam’s sinful nature, and, therefore, are subject to the curse and eternal death, the Man Jesus was without sin and, therefore, DEATHLESS until He took the sin of others upon Himself and died THEIR death. Now while Jesus was of Adam’s race according to the flesh yet He did not inherit Adam’s nature. This alone will prove that sin is not transmitted through the flesh. It is transmitted through the blood and not the flesh, and even though Jesus was of the “Seed of David according to the flesh” this could not make him a sinner. “God has made of ONE BLOOD ALL THE NATIONS of the earth. Sinful heredity is transmitted through the blood and not through the flesh. Even though Jesus, therefore, received His flesh, His body from a sinful race, He could still be sinless as long as not a drop blood of this sinful race entered His veins. God must find a way whereby Jesus could be perfectly human according to the flesh and yet not have the blood of sinful humanity. That was the problem solved by the virgin birth. “It is now definitely known that the blood which flows in an unborn babies arteries and veins is not derived from the mother but is produced within the body of the fetus itself only after the introduction of the male sperm. An unfertilized ovum can never develop blood since the female egg does not by itself contain the elements essential for the production of this blood. It is only after the male element has entered the ovum that blood can develop. As a very simple illustration of this, think of the egg of a hen. An unfertilized egg is just an ovum on a much larger scale than the human ovum. You may incubate this unfertilized hens egg but it will never develop. It will decay and become rotten, but no chick will result. Let that egg be fertilized by the introduction of the male sperm and incubation will bring to light the presence of LIFE IN THAT EGG. After a few hours it visibly develops. In a little while red streaks occur in the egg denoting the presence of Blood. This can never occur and does never occur until THE MALE SPERM HAS BEEN UNITED WITH THE FEMALE OVUM. The male element has added life to the egg. Life is in the blood according to scripture, for Moses says: “For the life of the flesh is in the blood. . . For it is the life of all flesh; the blood of it is for the life thereof” (Leviticus 17:11, 14). The life of the flesh is in the blood; there is no life or blood in the unfertilized female egg until the introduction of male sperm; Mary conceived Jesus by the Holy Spirit without the introduction of human male sperm; Jesus was sinless; therefore, sin is transmitted through the blood which comes from the human father. of our salvation, this selfsame one was born of Mary the virgin, who is God-bearer in respect of his humanness. As long as Christians have interpreted Scripture within the bounds of the definition of Chalcedon, it has historically been regarded as orthodox: Christ’s humanity must be regarded as completely human. 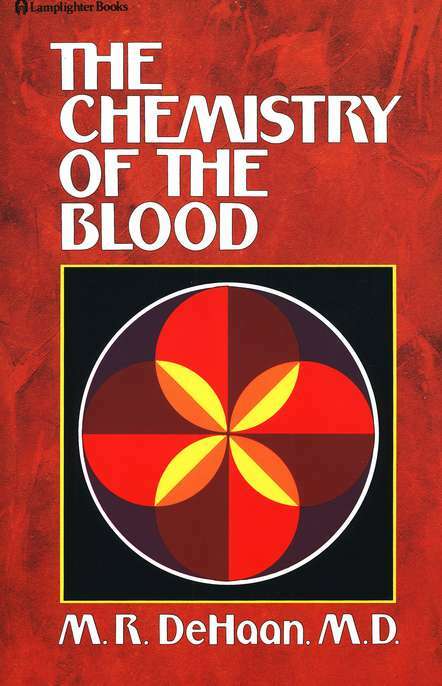 But if the Lord Jesus’ blood wasn’t the product of Mary, but was “divine blood” as DeHann heads a later subset in his sermon, then the Lord Jesus isn’t fully human, but his full humanity is compromised when his blood is put in a category distinct from that which flows through all of our veins. If his full humanity is brought into question, then so can his ability to represent us before the Father, being “man to God” as well as “God to man.” Someone posted a theological article in the NIV Spirit of the Reformation Study Bible which does a good job of presenting the importance of Christ’s full humanity. The other Monophysite heresy which compromises the full humanity of Christ is called Apollinarianism. Since I’ve already written an excessively long post, I’ll just link you to some helpful reading on this heresy and how modern fundamentalist notions about the blood of Christ which compromise his full humanity parallel the spirit, if not the letter, of Apollinarianism. I recommend “Divine Blood” by E. A. Green; “Apollinaris of Laodicea” by Wikipedia; and finally, “Apollinarianism” from the Catholic Encyclopedia, featured at New Advent. To be clear, modern indpendent Baptists do not go to the extremes to which Apollinarianism and Eutychianism go in confusing Christ’s divine and human natures. But the fact remains that by their general refusal to consult the ancient ecumenical creeds which define the orthodox biblical Christology, they doom themselves to repeating the mistakes of history, having not learned from the correction of these mistakes at Chalcedon. In part two, I’ll discuss how some Independent Baptists repeat the Anabaptist error known as the Heavenly Flesh of Christ. Q. Which is the first commandment? A. The first commandment is, “You shall have no other gods before  me.” (Exodus 20:3 ESV). #661, The Trinity Hymnal; From Psalm 42; Tate and Brady’s New Version, 1696, 1698; SPOHR C.M. 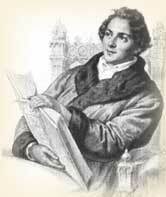 ; Louis Spohr, 1835; arr. As pants the hart for cooling streams when heated in the chase, so longs my soul, O God, for thee, and thy refreshing grace. For thee, my God, the living God, my thirsty soul doth pine; O when shall I behold thy face, thou Majesty divine! Why restless, why cast down, my soul? Trust God, and he’ll employ his aid for thee, and change these sighs to thankful hymns of joy. Why restless, why cast down, my soul? Hope still; and thou shalt sing the praise of him who is thy God, thy health’s eternal spring. Read the feature article from the Spring 2008 issue of Christian History & Biography, called, “Christianity Fever.” It’s about how “Through a century of political turmoil and disillusionment, waves of Chinese intellectuals have come to Christ.” We Western Christians must remember we’re losing our central post in global Christiainity. Learn a little about what’s going on elsewhere in terms of revival, and begin praying for reformation. 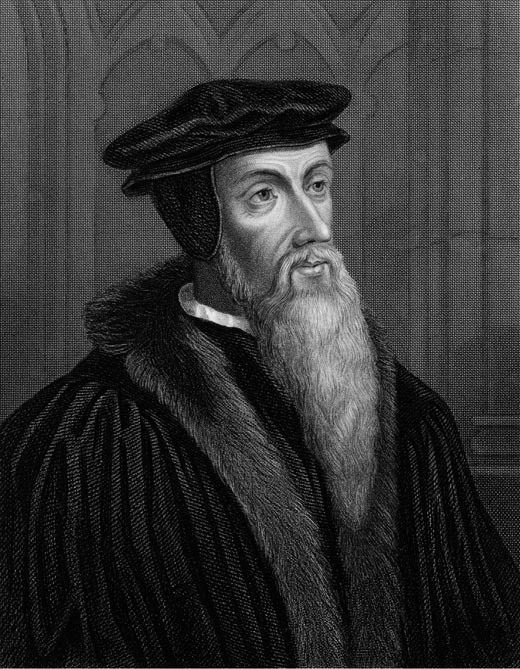 On this day, July 10, in 1509, John Calvin was born. I wasn’t aware until I noticed Justin Taylor’s link to John Piper’s blog in which he recognizes Calvin’s 499th birthday with a focus on Calvin’s prodigious output of Scriptural exposition (on which, see here), from which all Protestant Christians have benefited immensely (whether they realize it or not). You may also find something to enjoy from the Calvin College website. The Calvin Alumni Association recognizes Calvin’s birthday each year. Here’s the archives of their celebrations. Do what you can to raise awareness of John Calvin and the amazing theology he represents (not invented out of whole cloth!). You might start by buying this T-Shirt from my friend, David Jacks at Theological Pursuits Bookstore in the shadow of Southwestern Baptist Theological Seminary in Fort Worth, Texas. David’s Reformation Shirts are the classiest Reformed Ware on the web, in my humble opinion. He’s got a great selection! Ever heard of H. Vinson Synan? He’s an important Pentecostal historian, according to Wikipedia. He earned his credentials by being the first to conclude based on the facts of history that the Pentecostal movement is rooted in Wesleyan Holiness theology. This conclusion has apparently been affirmed by his peers who have checked his sources and found a there there. This is the view I’ve always heard about Pentecostal origins. I guess Synan is a scholarly force to be reckoned with. This past week, however, on Kenneth Copeland’s daily television show, the Prosperity preacher extraordinaire has been interviewing Doug Wead, former member of George H. W. Bush’s staff, a presidential and religious historian who has written a few books and earned some experience researching history for himself. Wead is speaking out against Senator Grasseley’s investigation into the financial goings on of six major Prosperity Gospel ministries, which may have some basis, considering this is the nation built in part on the ideal of absolute religious liberty. Of course, it’s not the theology the government’s worried about, but rather the extravagent lifestyles of the heads of these supposedly non-profit organizations. Well, as Wead was discussing issues related to the above, he blew my mind with a little historical revisionism, apparently hoping to legitimize the prosperity gospel by being able to say this doctrine doesn’t come from Copeland or Hagin or Creflo Dollar (which is the greatest last name for a prosperity preacher, if you ask me!) He said there is historical precedent for the prosperity gospel in the wealth of the medieval Roman Catholic church until St. Francis began teaching something a little less prosperity-minded. This fascinated me, because I recall in Hank Hanegraaff’s book, Counterfeit Revival, how that the Holy Laughter revivalists pointed to ecstatic outbursts of laughter and barking and what not in the revival meetings of the First Great Awakening to legitimize the same phenomena among their number nowadays. Hanegraaff pointed out in his book, though, that there was a little detail overlooked by the Holy Laughter crowd–how that Wesley and Edwards and Whitefield, et al, viewed these phenomena as inappropriate, and made efforts to curtail such disorderly outbursts. So, the tradition continues in relation to the prosperity gospel! I looked up Doug Wead’s website and contacted him by email to inquire into more detail about such claims. After all, he just touched on it on Copeland’s show. Wead told me he read an article by Synan which mentioned this association. So, naturally, my first trip was to Wikipedia, to find out what information the online community has collected there about this seemingly important historian. You can read all about him here. 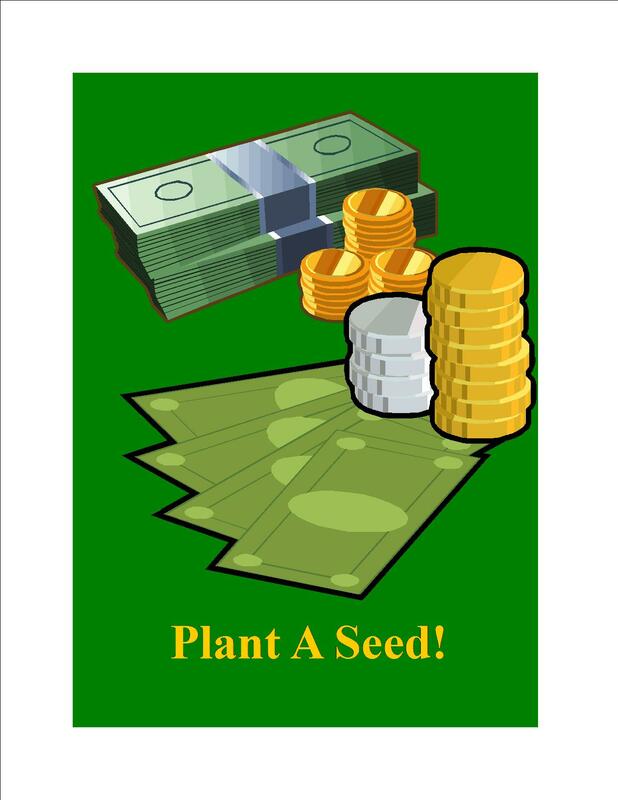 So, after reading up on Synan, I went back to one of Wead’s blogs, and did a search for Synan or prosperity theology related blogging, and I hit paydirt. Wead had recently posted on his blog an article by H. Vinson Synon on “What’s so attractive about the Prosperity Gospel?” If you haven’t had your credulity stretched lately, I recommend this read as a good opportunity to catch up for lost incredulity. Suffice it to say, medieval Romanism is just the tip of the iceberg of prosperity preaching in church history, if you ask Synan. Read the article and then join me in telling Doug and his readers what you think and then come back here and share your thoughts with me, too. I only wish I could snap a picture of the look on your face when you see what Prosperity history has in store for you! A. The first commandment is, You shall have no other gods before me (Exodus 20:3). With all the hubbub about Oprah and her latest guru, Eckhart Tolle (personally, I prefer, “Tolle Lege“), I’ve been doing a little digging about “spirituality.” If you’ve read Christianity in Crisis by Hank Hanegraaff, then you’ve heard of Phineas Parkhurst Quimby. He is likely the ultimate source of the errors and heresies of the Word of Faith theology of T. L. Osborn, Kenneths Hagin & Copeland, Oral Roberts, John Avanzini, Robert Tilton, Creflo Dollar, T. D. Jakes, Joel Osteen, Joyce Meyer and John Hagee. Most disease is mental in origin. From its initial emphasis on the healing of disease, New Thought had developed into an intensely individualistic and optimistic philosophy of life and conduct. Can you see the ties between New Thought and Word of Faith? Had Oprah been around back in the nineteenth century, she’d’ve had Phineas Parkhurst Quimby on her show. . .